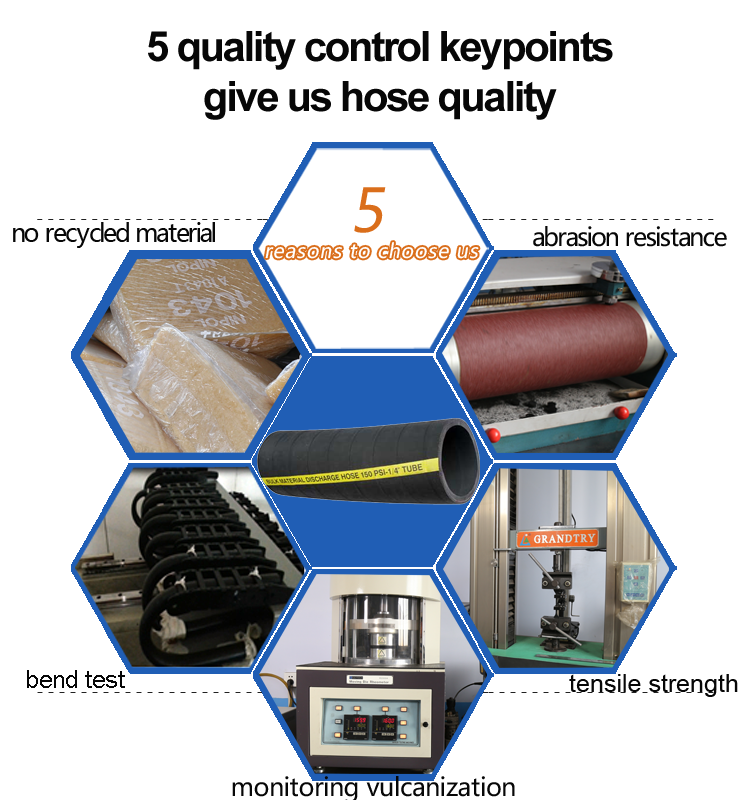 Mining Slurry Hose-Material handling hose--Hebei Orient Rubber & Plastic Co., Ltd.
Tube: Black NR/SBR rubber compound. Reinforcement: Multi ply synthetic fabric with wire helix. Cover: Black NR/SBR corrugated abrasion and weather resistant. 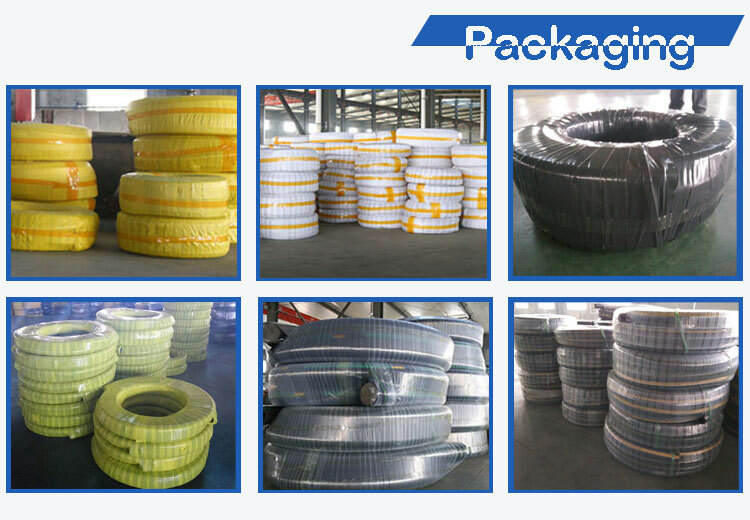 Slurry hoses are designed primarily for handling abrasive and viscous slurries from mine and quarries. They can also be used for handling dry materials such as sand, gravel and grains. The external bolt on the flanges allow for easy installation and uninterrupted free flow. 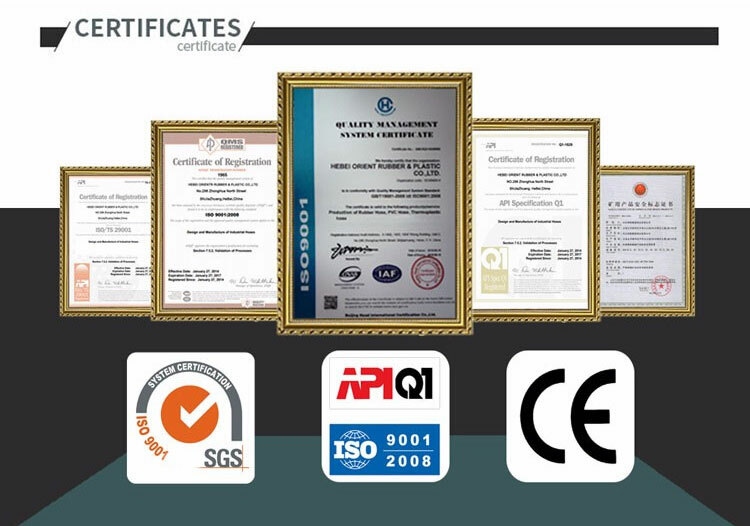 ●Absorb system vibration and saves wear on equipment. 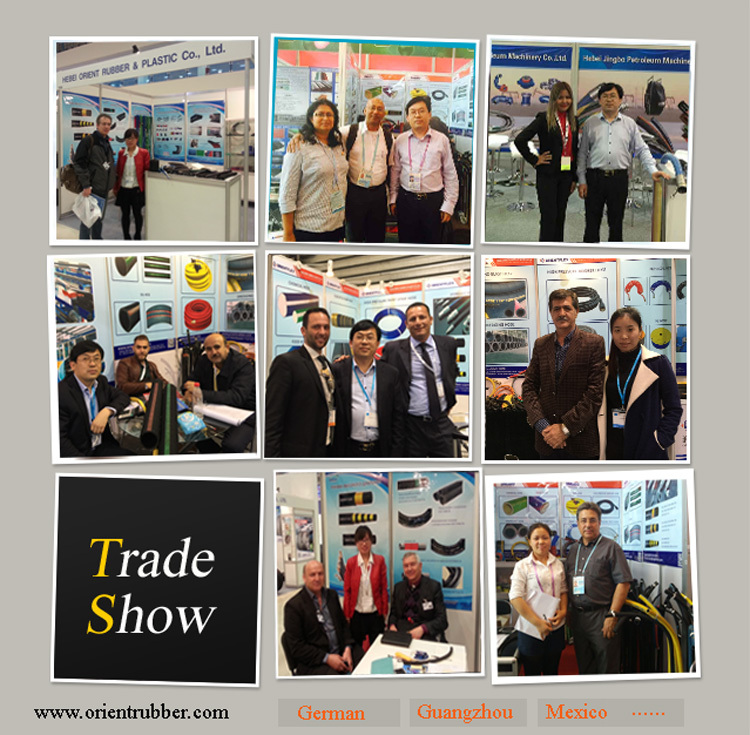 Production: Advanced technology and equipment to make the best quality rubber slurry/mud hose. 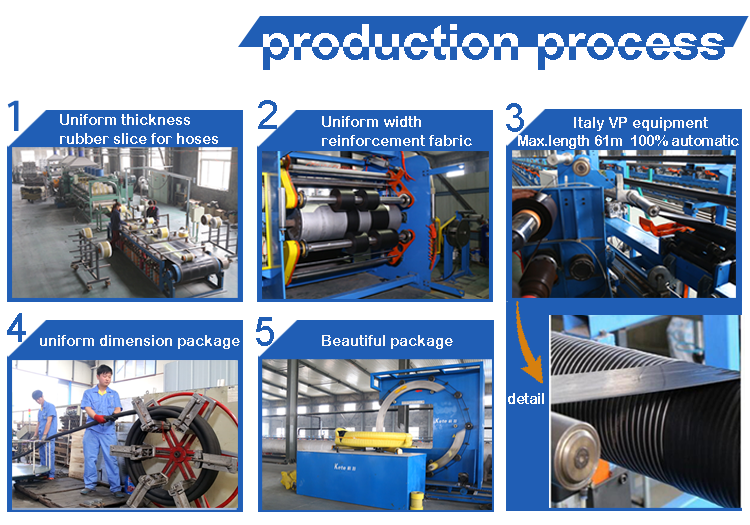 After finishing the slurry/mud hose production, we will pack the hose.